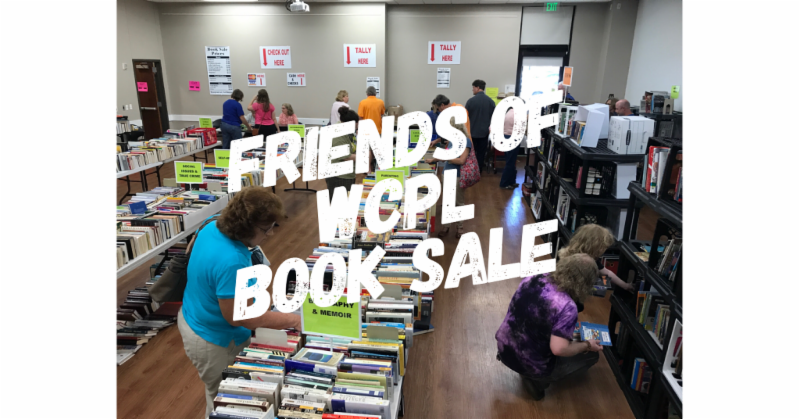 Summertime is here …time for Friends of WCPL Sizzling Summer Book Sale! Thanks to our generous donors we have lots of wonderful books & media. We will have literally thousands of new and used donated books for sale including paperbacks, hardcovers, Fiction, Non-Fiction, Children, Teen & Young Adult books, Antique/Vintage books, Coffee-table books, and various media items such as audio books, CD’s, and DVD’s. This time we have some more jigsaw puzzles. All books will be neatly sorted by subject and arranged by category. Prices range from 50-cents to $5.00 each, and there are no buyer restrictions. We accept cash, check, Visa & MasterCard. On Sunday, we will have a $5 Bag Sale all day for the general public. Bags will be provided, and you can fill as many bags as you like for only $5 each. Go Green & bring your own cloth or canvas bags about the size of a grocery shopping bag. **If you would like to become a Friends member and take part in the Members Only Preview Sale you can join at the door before or anytime during the book sale. Be one of the first book lovers to shop all our great books! As always, book dealers are also welcome. In 2017 Friends of WCPL donated over $25,000 to the Williamson County Public Library. We hope to exceed that amount in 2018. Proceeds from this sale, along with your generous donations, will go to fund The Friends of the Library which is dedicated to help support the Williamson County Public Library by helping to expand the library’s collection and to improve community programming. Sunday 1-4:30p is $5 Bag Sale Day! Find us in the first floor meeting room!